Don't worry about the weather, let us be Tents for you! Tents For You tent rentals are the perfect combination of a curve and peaked tent and a sturdy frame tent for weddings, parties and special events. The 20 x 20 tent allows for increased square footage for your guests 400sq. feet of space. This unit allows you to keep from 10 to 50 guests safe and dry depending upon your seating style. Ideal for either the larger backyard party or the corporate event. 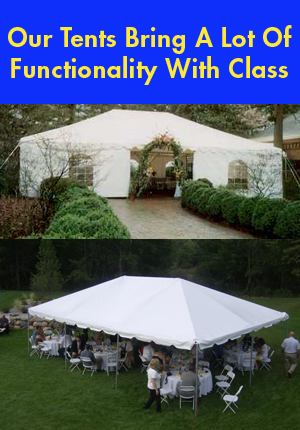 Tents For You 20×30 party tents are great for large weddings and events that require elegance. This party tent and wedding tent allows for increased square footage for your guests 600sq. feet of space. This unit allows you to keep from 60 to 75 guests safe and dry depending upon your seating style. Ideal for either the larger backyard party or the corporate event. 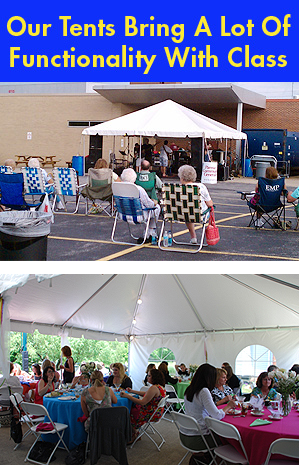 Contact Tents For You today at 440-476-2764 for all of your “Greater Cleveland Ohio” tent rental needs. Copyright 2015 © Tents For You.